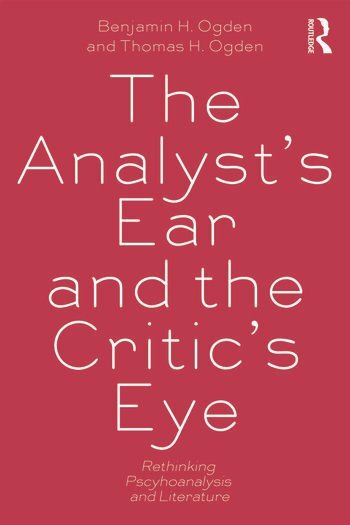 The Analyst’s Ear and the Critic’s Eye is the first volume of literary criticism to be co-authored by a practicing psychoanalyst and a literary critic. The result of this unique collaboration is a lively conversation that not only demonstrates what is most fundamental to each discipline, but creates a joint perspective on reading literature that neither discipline alone can achieve. -What is psychoanalytic literary criticism? -Which concepts are most fundamental to psychoanalytic theory? -What is the role of psychoanalytic theory in reading literature? -How does an analyst’s clinical experience shape the way he reads? -How might literary critics make use of the analyst’s experience with his patients? -What might psychoanalysts learn from the ways professional literary critics read? This volume provides cutting edge work which will breathe new life into psychoanalytic ways of reading, free from technical language, yet drawing upon what is most fundamental to psychoanalytic theory and practice. It will be of great interest to mental health professionals, literary scholars and those studying psychoanalysis and literature. The Analyst's Ear. How the Analyst Thinks. The Critic's Eye. Thomas H. Ogden is a Supervising and Personal Analyst at the Psychoanalytic Institute of Northern California, USA. He has written numerous books and articles on psychoanalysis and literary criticism that have been translated into nineteen languages. He received the Sigourney Award in 2012.